Today, on March 22, the price of one barrel of Brent oil dropped below $50 for the first time since November 2016. 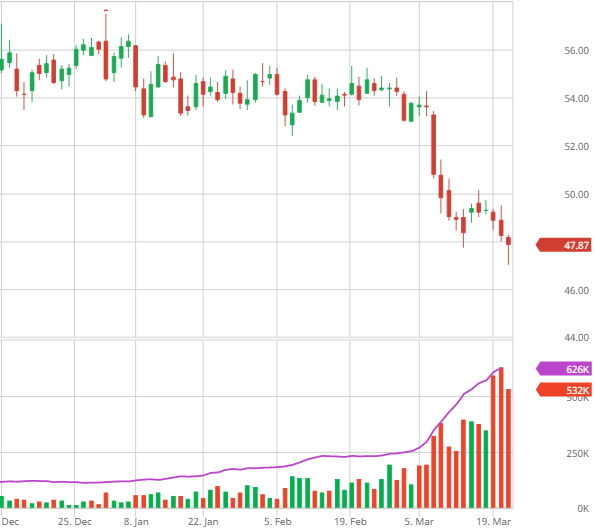 The thing is that crude oil prices crashed almost instantly after another weekly report indicated an increase in U.S. crude oil inventories, Market Leader reports. To be more specific, ICE Futures traded in London dropped in price by 1,01 dollars or 1,98% at a time to drop below the $50/b threshold all the way down to $49,95 per barrel. This is the first time, the price has dropped below this psychological level since November 30, 2016. As for WTI futures traded on NYMEX in New York, they dropped in price by 0,95 dollars or 1,97% all the way down to $47,29/b. 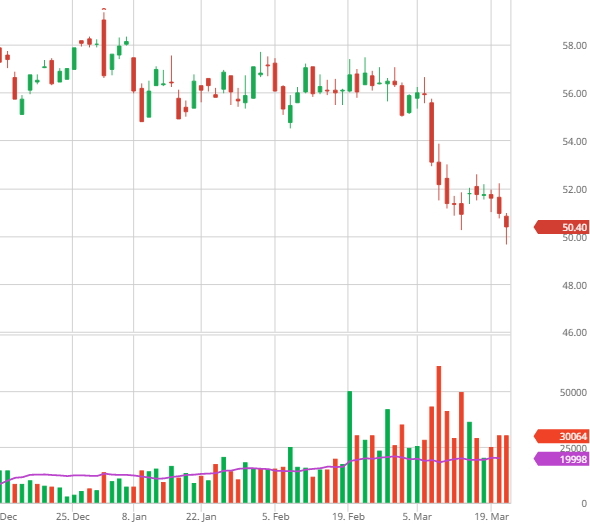 Once again, the price plunged at the same time, shortly after the U.S. Department of Energy reported about a considerable increase in the local crude oil inventories. This was an increase by 5 million barrels. To be more specific, the increase turned out to be almost twice as big as expected by international experts, which is why the market reacted this way. The current U.S. crude oil inventories are estimated at 533,1 million barrels. Apparently, the oil price crash also affected the national currencies of the world’s major oil producers. For instance, the Russian ruble devalued against USD by 0,52RUB down to 58,22RUB per 1USD.